Did the prodigal son love his father to death? 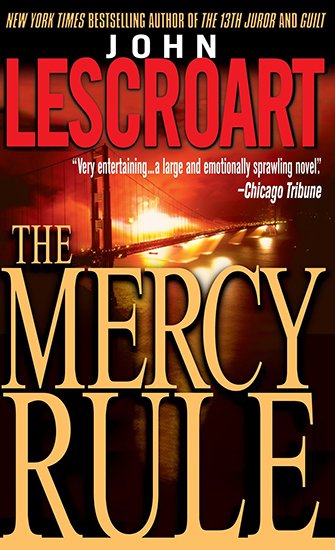 The Mercy Rule is a brilliant and moving human drama set against a backdrop of relentless suspense, legal complexity and moral ambiguity. Dismas Hardy, the former bartender, loving husband and father, and reluctant defense attorney of The 13th Juror, returns here in his most challenging case. Vowing to spend more time with his family, Dismas is hesitant to represent Graham Russo, a could-have-been-great baseball player-turned-lawyer who is indicted for the murder of his father, Sal. Everyone close to the Russos knew that Sal was dying and that he needed morphine injections to ease his suffering. Graham admits to administering these injections, but insists he wasn’t there the night of Sal’s overdose. Was it suicide, mercy, or murder?